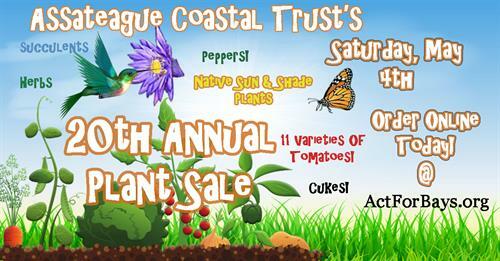 Assateague Coastal Trust's Annual Native Plant Sale. Eastern Shore Native Sun and Shade Plants, Succulents, Herbs and Vegitables. Pre-Orders available online. Visit website for more details.